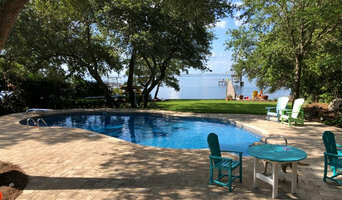 Johnson Pools Inc. is a family-owned and operated business that is dedicated to serving Pensacola, FL; Fort Walton Beach, FL; Foley, AL; and the surrounding areas with unrivaled pool maintenance, repairs, and installation services. What started as a one man operation has grown into the much larger establishment that we are proud to call our own today! Dan Johnson is the owner of Johnson Pools Inc. and is a second-generation swimming pool contractor. Together with his crew, Dan goes above and beyond to make sure you are getting exactly the service you want, every time. We keep our prices low and affordable to best suit your budget. Whether you need yearly pool maintenance, liner replacement or are looking to have a new pool installed, we’re here for you. Call Johnson Pools Inc. today to have any questions you may have answered by our friendly staff and to schedule service at your convenience. We look forward to working for you! All pool companies are not created equal Alan Henseler founded Classic Pools in 1999 and today he, along with is support staff (many who have been with Classic Pools for over 8 years) has expanded the company to truly provide all of your backyard needs. From swimming pools, spas, patio furniture, pool maintenance, repair, and remodeling, no other pool company offers such a comprehensive resource for backyard fun. When you decide to work with Classic Pools to create the backyard of your dreams you become a member of our extended family. Custom satisfaction is how we at Classic Pools and Patio measure our success. As a family owned and operated business, we truly understand that exceeding customer’s expectations in every aspect of our daily operations results in happy Classic Pools pool owners. For the past 12 plus years, we have built hundreds of pools and spas on the Eastern Shore as a result of a proven history of exceeding customer’s expectations. Our pool installation process is a smooth and enjoyable progression from start to finish, and ensuring this is the first priority of every single member of the Classic Pools team. With over 14 years of experience, Classic Pools provides the peace of mind and confidence you family deserves. 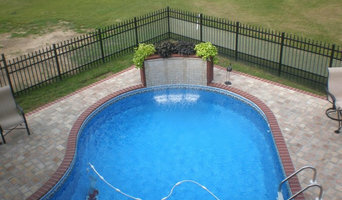 We specialize in Gunite pool construction, Vinyl pool construction, Fiberglass pool construction, Custom water feature installation, Paver decking, Paver patios, Paver driveways, Outdoor kitchens, custom fire features, Fire Pits, Fireplaces, Swimming pool installation, Inground pools, Pool renovations, Pool waterfalls, Infinity pools, negative edge pools, beach entry pools, concrete decking, Pergolas, Gazebos, Pool houses, Lighting packages, LED pool lighting, Spa installation, Spa, Pools, Pool Coping, Salt Water pools, Ozone pools, flagstone pools, and pool design. Serving the Gulf Coast for Over 20 Years When you choose Dolphin Pools to build your new in ground swimming pool you are choosing only the best brands installed exactly to manufacturers specifications by seasoned professionals. Call us today to schedule a free consultation. We value your ideas and input, and we are committed to making sure that you are completely satisfied. Whether you're looking for a new pool, pool repair or restoration services, or need the services and products to maintain your existing pool, our helpful staff will walk you through the available options every step of the way. For years, we have been serving the local community for all of their pool construction, service, repairs and maintenance needs. In our new retail store, we hope to serve swimming pool owners with their supplies and accessories needs. Stop by our store in Robertsdale to talk to someone about your pool today. We always offer free estimates, and when it's time to take on your project, we have several different financing options. We also accept credit cards and cash. Bailey’s Pool and Patio located in Mobile, Alabama, and has served the Gulf Coast since 1954. During that time we have made a name for ourselves with our customer service and high quality products. Our business is not limited to pool and spa retail; we are also a trusted pool builder and service provider. So throughout the Gulf Coast Region, if you are looking for high quality pool products, a new gunite or vinyl liner pool, or regular pool service and maintenance, contact us. Our goal is to ensure you have nothing but the best. Tindle Pools LLC has been in business in Bay Minette for more than 6 years serving Alabama and surrounding county areas. Your swimming pool or spa is one of the most satisfying investments you will make as a homeowner. We have carefully designed and built some of the most notable in ground pools and spas in Alabama. Call us today! Professional Patio & Pool Enclosures, Inc. of Pensacola, FL provides service for patios and pool enclosures. We are a licensed and insured company providing service for screen rooms, glass rooms, carports, and more. We return our phone calls! Our commitment to quality, customer service, and timely job completion is our promise to our customers. We have built many strong relationships because of our work ethic and we will undoubtedly continue to do so! Call today! What exactly do Daphne pool builders do? If you are planning for a new pool in Daphne, AL, a swimming pool builder will analyze your outdoor space and your aesthetic wishes to determine an appropriate design for your yard, installing it once the plan is developed and approved. Once installed, some pool companies in Daphne, AL can handle the necessary cleanings, water testing, renovations and equipment replacement or repairs for your pool or spa. If not, many can also suggest Daphne, AL swimming pool contractors or maintenance services to help with upkeep or repairs down the road. Here are some related professionals and vendors to complement the work of swimming pool builders: Garden & Landscape Supplies, Landscape Architects & Landscape Designers, General Contractors, Landscape Contractors, Solar Energy Contractors. Before hiring a swimming pool construction company to create your new Daphne, AL pool, determine how you'll be using it. Will it be for fun or for lap exercise? Will the primary users be children, adults or a mix of the two? Knowing the use can help you find Daphne pool builders who shares your aesthetic. Once you find swimming pool builders in Daphne, AL who share your style, research is critical. Review customer references and comments, collect at least three to four estimates to compare, meet with potential Daphne pool designers and builders in person and ensure that they are Alabama certified service professionals and licensed with the registrar of contractors before making any final decisions. In addition, get a sense whether they plan to complete the pool installation and be done with it, or whether they seem interested in building a long-term relationship with you. Be wary of the former: it's likely a reflection on the level of quality of the pool construction they do. Find a Daphne pool contractor or designer on Houzz. Narrow your search in the Professionals section of the website to pool builders in Daphne, AL. You can also look through Daphne, AL photos by style to find a pool or spa you like, then contact the local pool company who designed it.